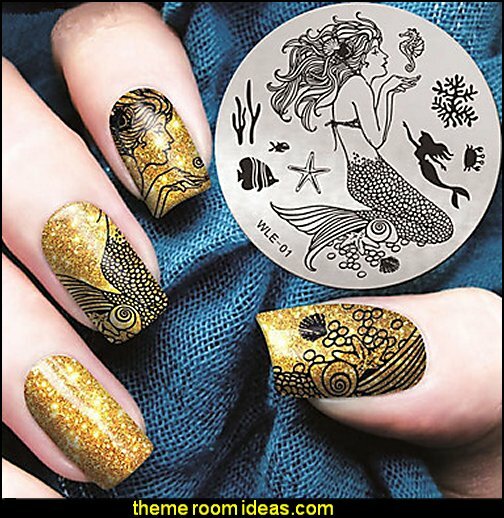 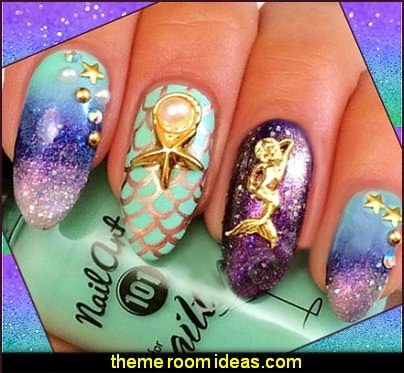 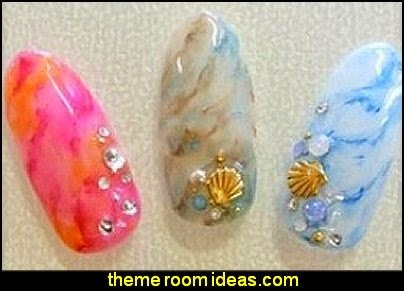 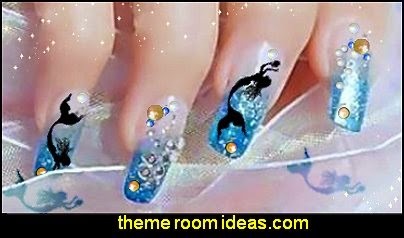 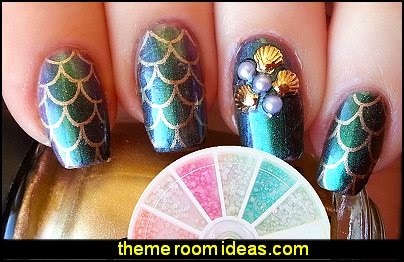 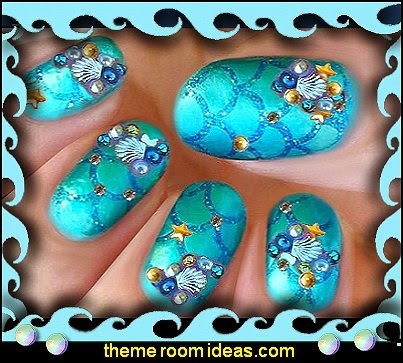 Get creative with the colors of the sea and accent with ocean - sea-themed decorations, sparkling sea shells, glistening rhinestones - happy mermaids, pearls and gems ...works well for nail designs and bedroom decorating. 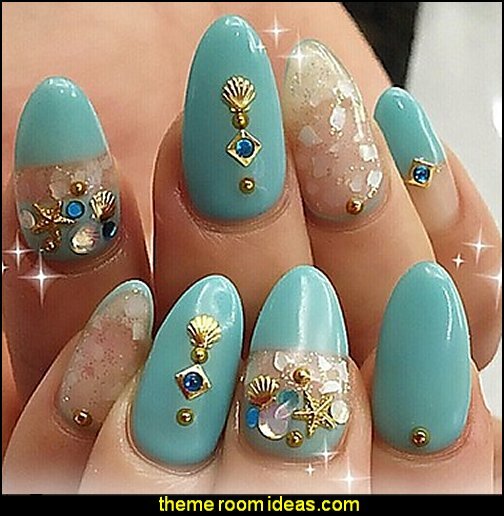 Beach treasures nail design with a sand-like - sea shore and blue iridescent sea foam. 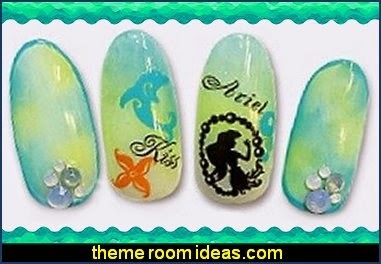 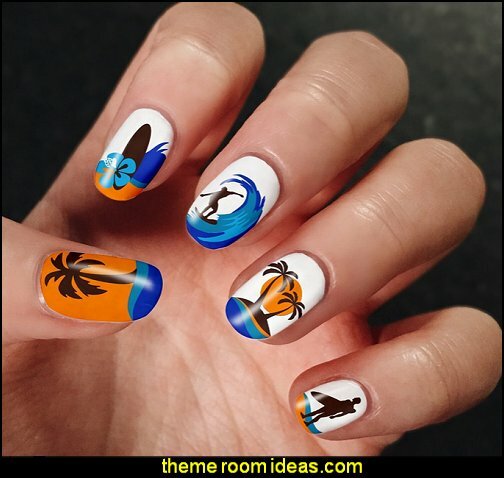 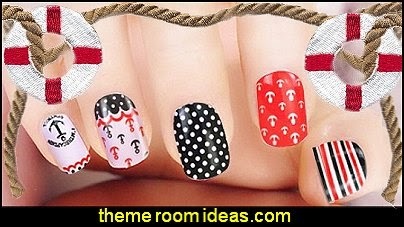 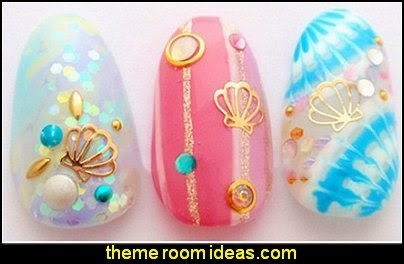 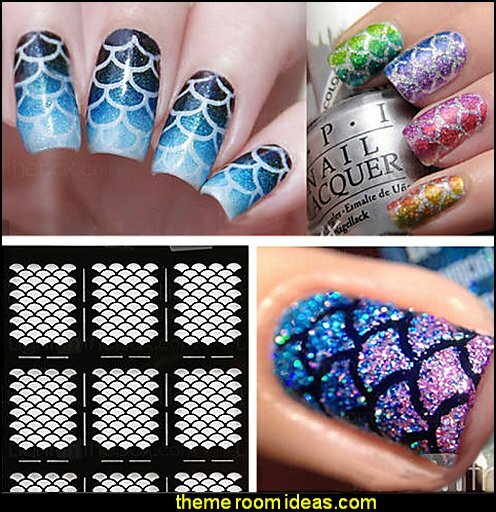 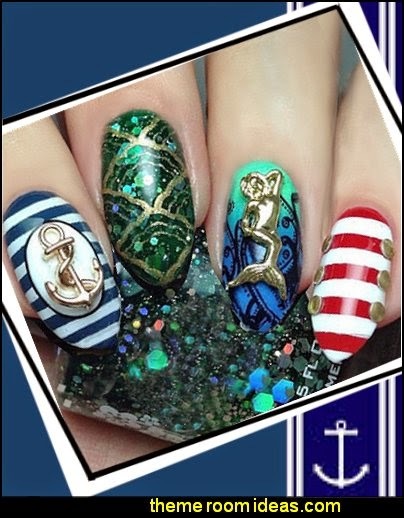 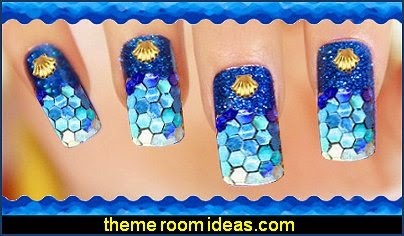 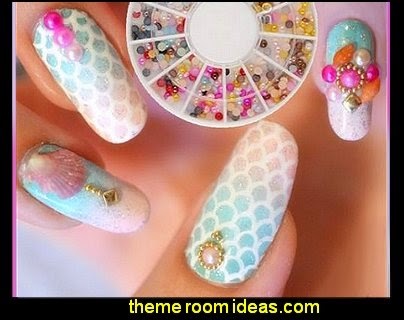 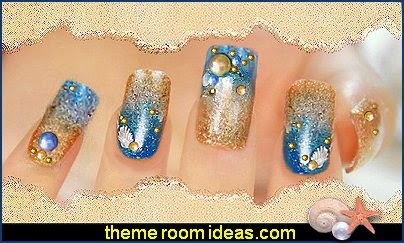 Use these creative ocean themed nail designs as inspiration to bring your bedrooms to life also.